We're on for the full schedule this week. Mon Feb 17. Charlotte Joko Beck, Nothing Special. Ch. 9, "Forgiveness." Tue Feb 18. Koan of the Week. "What the Holy Ones Have Not Preached." Gateless Gate #27 & Blue Cliff Record #28. Wed Feb 19. Shunryu Suzuki, Zen Mind, Beginner's Mind. Ch. 13, "Zen and Excitement." Thu Feb 20. Thich Nhat Hanh, The Heart of Buddha's Teaching. Ch. 10, "Right Thinking." Fri Feb 21. Taizan Maezumi & Bernie Glassman, On Zen Practice: Body, Breath & Mind. Ch. 1. "Why Practice." Sat Feb 22. Robert Aitken, Taking the Path of Zen. Ch. 9, "The Koan Mu." "Gateless Gate," "Wumenguan," "Wu-men-kuan," "Mumonkan." 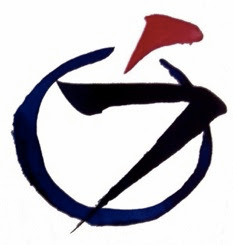 "Blue Cliff Record," "Biyan Lu," "Pi-yen Lu," "Hekiganroku." "Book of Serenity," "Book of Equanimity," "Congrong Lu," "Ts'ung-jung Lu," "Shoyoroku."